Fixed Index Annuities: Magical or Unsuitable? High-profile fixed index annuities salesman Phillip J. Cannella 3rd at one the free dinners he hosts across the region to promote his company. Cannella, who also hosts an hour-long paid radio infomercial every Saturday and Sunday, says his firm writes $100 million in contracts annually, earning $6 to $8 million in commissions. As sales of the insurance product soar, regulation remains lax, and experts urge caution, especially by the elderly. That night, like most nights, Phillip J. Cannella 3rd warned that the financial world was at the brink of a massive meltdown, one that would wipe out savings and crush retirees. “We’re about to enter a horrible period, crash followed by recovery, followed by inflation,” the insurance agent said last fall, pacing excitedly in front of nearly 100 retirees and middle-aged guests at the Springfield Country Club, enticed by the promise of a free dinner. If Wall Street is the problem, Cannella believes he has the solution: fixed index annuities, a popular but complex insurance product known for lucrative commissions and opaque fees. At a free dinner to promote fixed index annuities, Phillip J. Cannella 3rd asks for a show of hands to illustrate how many lost money in the 2008 market crash. His spiel includes warnings of economic collapse, but he leaves out key information to prove his product is safer than stocks and mutual funds. But in Pennsylvania and most states, sales agents aren’t required to disclose their commissions, typically 6 to 10 percent, that insurance carriers pay them for putting retirees’ money into these long-term investments. Seniors also can face huge penalties for early withdrawals for unexpected medical bills or other emergencies. The U.S. Department of Labor, which has oversight of retirement plans, became alarmed about insurance agents and investment brokers pushing clients into inappropriate retirement investments with high or undisclosed commissions. These practices, it estimated, cost retirees $17 billion a yearin excess fees. The department crafted a regulation, set to take effect in April, that would require financial advisers to put their clients’ interests first when selling investments for retirement. Known as the “fiduciary rule,” it was the first federal regulation of insurance agents, including some of the 230,000 in Pennsylvania. With its potential for curtailing high-commission insurance sales, Cannella said, the rule was “going to knock out half” of the agents selling annuities. But in February, President Trump, by an executive order, halted the long-debated regulatory change and called for another review. The insurance and investment industry had fought the new rule for years and hope the new administration can kill the Obama-era reform. If so, sales of insurance products will remain overseen primarily by state regulators, unlike sales of stocks and mutual funds, which have some federal consumer protections. In Pennsylvania, investors have poured billions of dollars into fixed index annuities over the last decade just as the state Insurance Department has been slashing its staff. It has 225 employees, slightly more than half its 2006 workforce of 414. The number of employees at the Pennsylvania Insurance Department fell from 414 in 2006 to 199 in 2016. As a rate per premiums sold, the state has fewer than half the regulators than the national average. Cannella, 61, founder of the King of Prussia-based First Senior Financial Group, is something of a local celebrity. He hosts an hour-long paid radio infomercial every Saturday and Sunday on 1210 AM, the Philadelphia affiliate of CBS. He says he spends as much as $2 million a year on advertising, a lot of it airing on cable TV news shows. His company, headed by his wife, Joann Small, writes $100 million in contracts annually taking in $6 million to $8 million in commissions, he said. He also is licensed to sell insurance in Florida. 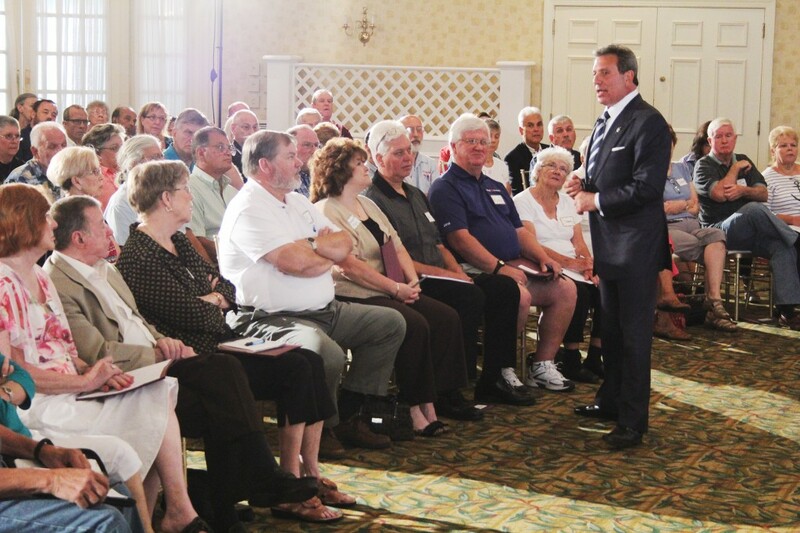 At his events, Phillip J. Cannella portrays himself as a lone, fearless advocate for seniors, unafraid to reveal harsh truths about Wall Street. Stock brokers compete with insurance agents for retirees’ money. What Cannella and other agents don’t mention is the S&P 500 returns on the chart do not include reinvested dividends. With dividends included, the stock market’s aggregate return handily outperformed Cannella’s favorite annuity product over the same period. Like thousands of insurance agents across the country, Phillip Cannella 3rd, one of the region’s leading promoters of fixed-index annuities, used a version of this chart in his sales presentations to show that investing in annuities is safer than the stock market. The chart showed that $100,000 invested in 1998 in an annuity offered by American Equity Life Insurance Company outperformed the nominal S&P 500, a broad-based stock market index. Asked later why he used a chart without telling his audience that stock dividends aren’t included, Cannella said he was using insurance company marketing material, all of which is approved by the Pennsylvania Insurance Department. Ruman, the department spokesman, said promotional materials get vetted and approved if the agency has received a complaint about them. He couldn’t confirm whether the department received a complaint about such a chart. Cannella also said customers of First Senior Financial are protected because insurance agents are held to a higher standard than Wall Street demands. ‍ When do I want the income to start? ‍ What are the A.M. Best and other financial strength ratings of the insurance company? ‍ For how long after I receive my annuity contract can I cancel for a full refund? ‍ What charges, if any, are deducted from my premium & when? ‍ What charges, if any, are deducted from my contract value & when? ‍ What are the surrender charges if I want to take out all of my money? ‍ For how many years will the surrender charges apply? ‍ Can I get a partial withdrawal without paying charges or losing interest? ‍ What are the risks that my annuity/earned interest could decline in value? ‍ Is there a guaranteed minimum interest rate? ‍ How will my annuity income be taxed? ‍ What happens to my account balance and income payments if I die? Under federal law, only Registered Investment Advisers, who typically charge clients hourly fees for advice and file annual compliance documents with the federal Securities and Exchange Commission, have a fiduciary duty — putting a client’s interest ahead of earning a bigger commission. Cannella does not have to offer the best deal for consumers; his obligation is to sell products that are “suitable” for the consumer. The suitability standard varies state to state. In contrast, stockbrokers are governed by a national standard. Roper of the Consumer Federation of America says “suitable” is a low standard for the financial industry. In her view, it offers the public little protection. “Suitability lets you recommend the worst of all suitable options,” she said. Cannella said the case was ginned up by his competitors and was unsubstantiated. He said he paid the fine and accepted the suspension without admitting wrongdoing because he was a young insurance agent, supporting a family, and was financially unable to face a drawn-out court battle. Cannella’s brother-in-law, who worked for him for about a year, once described the company’s sales tactics at its senior seminars. Fine said the company sought to invest as much of the clients’ money as possible. “We want to make sure that we leave the least amount of money on the table and we get — garner back the highest commissions to us,” Fine said. In an interview, Cannella disputed that his firm put the totality of its clients’ savings in annuities. He provided account statements for a dozen clients that showed his company invested no more than 80 percent in annuities. As for his brother-in-law, Cannella said he fired him and disputes his account. More recently, the family of Delaware County resident Kay Guzman, 68 at the time, complained she was inappropriately persuaded to cash out a long-held $1 million insurance policy to buy fixed index annuities. When Guzman realized the mistake, she said in court records, she couldn’t get a new life insurance policy because she was a cancer survivor. She sued Cannella, First Senior, and others. Cannella said competitors may have convinced Guzman she could make money by filing suit. Both parties said they expect to settle soon. Cannella does have many clients who swear by him. Stephen Desirey, 69, of Schwenksville, and his wife are satisfied with the fixed index annuities they purchased. “If an individual is looking for a safe place to hold extra retirement funds that they believe will not be needed until after the next 10 years, they are terrific vs. the alternative risk,” he said in an interview. 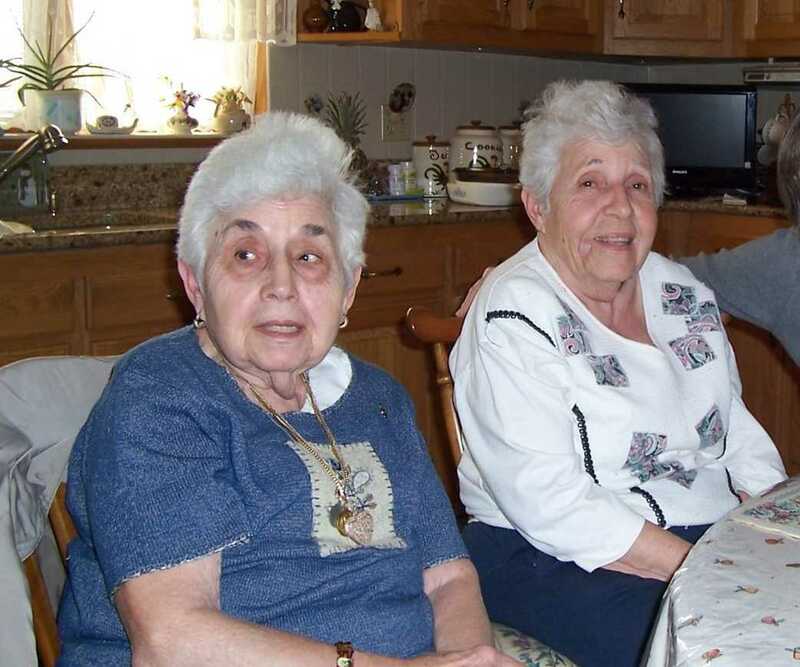 The Nave sisters were victims of annuities salesman Richard Piccinini Jr., who pocketed nearly $200,000 from their $500,000 retirement savings by moving them through dozens of complicated, commission-rich insurance contracts. Wallin, of Chester County, said he never earned anything near 8.3 percent since he put $300,000 in the annuity in 2014. He’s gotten 4 to 5 percent a year, a return he’s happy with. The difference appears to be in the way Cannella’s firm calculates the returns. Wallin’s 10-year contract came with a 10 percent first-year bonus from the insurance company. Cannella said his company includes the one-time bonus to help investors “get out of the gate” and his figures are accurate. Wallin’s fixed index annuity matures when he’s 90 but will be transferred without penalty to his wife if he dies before then. More important, he said, none of the principal will be lost if the stock market drops. John Vitko invested in a 15-year contract in 2013. Vitko, 66, a former salesman in Northeast Philadelphia, said he made 1.5 percent in interest the first year for one annuity, then about 1 percent for a while, and 1.75 percent last year. He said Cannella’s firm added some of the bonus to come up with the 6.2 percent figure. “It’s really not all earnings,” he said. Posted by erin3870	| April 2, 2019 | Categories: Uncategorized | Comments Off on Fixed Index Annuities: Magical or Unsuitable? A Main Line Philadelphia start-up wants to manufacture America’s first-ever “smart gun,” a 9-millimeter pistol that uses radio-frequency ID technology to provide a layer of safety for police officers and eventually American consumers, the world’s biggest gun buyers. For the last two months, LodeStar Firearms has been seeking to raise $5 million to design and make a product that its backers say could prevent thousands of shootings a year and sharply curtail gun thefts. It aims to sell more than a million guns annually in five to seven years. That would be a huge achievement for the fledgling firm since no one has yet sold a single smart gun on these shores. Smart guns have faced enormous blowback from the National Rifle Association, which rejects the technology as costly, unreliable, and an expansion of government control over firearms. Opponents have blocked sales of smart guns, leading other start-ups like the German weapon-locks firm Armatix to go bankrupt trying. LodeStar CEO Gareth Glaser didn’t start out as a gun guy. The former tax lawyer and University of Pennsylvania graduate worked in corporate America for most of his career at ExxonMobil and Alcon, the eye-care unit of Novartis. But in 2017, he took part in a Harvard graduate school project, encouraging experienced executives to take on social problems, and came to believe that “smart guns” represented an untapped business opportunity. “I did some research and found that, like auto accidents, safety with guns can be increased by technology like seat belts and air bags in cars,” Glaser said at his Radnor home, which doubles as LodeStar’s headquarters. The firm is banking on consumers’ willingness to use “smart” recognition technology in their daily lives, including phones that open to your face, cars that start to a driver’s voice, and television remotes that search for movies from simple commands. Invited to speak on a smart-gun technology panel in 2017, Glaser met the legendary German gun designer Ernst Mauch, chief designer for Heckler & Koch. Most aficionados recognize H&K as the premier weapons maker for police and the military. Mauch developed the MP-5 submachine gun and other guns widely used by SWAT teams, federal law enforcement, customs, and border patrol. Mauch is retired, and still keen on designing a smart gun, so he became LodeStar’s chief gun designer. “He has the design background, and I had the business experience,” Glaser said, explaining LodeStar’s birth. Mauch and his team of German engineers are working on a 9mm prototype to exacting specifications, with the hope that they will have a Glock-style weapon for sale sometime in late 2018 or early 2019. The price would be in the $700-to-$800 range, including two hours of training with a firearms instructor. Why? To date, traditional manufacturers have expressed distrust of the technology as have many gun owners, fearing that the guns could malfunction or fail to fire during a mud-filled confrontation. Those views “will likely change, just as it has with Detroit and self-driving cars,” maintained Michael Farrell, a LodeStar board member and weapons trainer. Farrell founded Smart Firearms, a Tempe, Ariz.-based company training leading law enforcement agencies including the Phoenix, D.C. Metro, Boston, New York Police Departments and the New York Department of Corrections. “When Ernst Mauch joined LodeStar, that sealed it for me,” said Farrell. The U.S. firearms market totals $7 billion a year, or roughly 12 million guns. And Americans already own roughly 300 million out of the 650 million guns in circulation globally. “We buy half of all the world’s guns, so the average American gun owner buys eight or nine weapons, and 40 percent of those people keep one gun loaded” in their house, said Glaser. Without the programmed ID token nearby, the LodeStar personalized handgun is always in the “OFF” position. When the gun and the chip are within a few inches of each other, the firearm immediately lights up green — and the gun fires. Battery life lasts up to 10 years. And the LodeStar gun promises to be hacker-proof, unlike an early prototype by Armatix. John Diaz, former Seattle police chief, said he much prefers LodeStar’s RFID (radio frequency ID) technology, the same used on a remote car lock. He believes RFID works better than biometric or fingerprint recognition. Police officers could program their weapons to be fired by their partners, if necessary, but not by anyone else, he added. So could parents with children in the house. Glaser worked in-house as an attorney for ExxonMobil and then Alcon, which went public. “I’m the business guy,” he said. Mauch, on the other hand, is considered weapons royalty, as is Jonathan Mossberg, of the Mossberg rifle maker family, who also advises LodeStar. LodeStar’s advisers and investors are pinning their hopes on New Jersey, where State Senate Majority Leader Loretta Weinberg (D., Teaneck) and Gov. Murphy have pledged support for smart guns. In 2002, New Jersey became the first state in the nation to enact a law requiring that all handguns sold in the state be childproof once the technology became available and approved by the state. Gun lobbyists pushed back and threatened store owners, prompting them to back off from selling smart firearms. In 2017, the New Jersey Legislature tried to repeal the 2002 mandate and instead require each firearm retailer in New Jersey to sell a personalized handgun model once they are available. Then-Gov. Chris Christie vetoed the bill, but Murphy has signaled he will sign any new law. In an interview, Weinberg said she expects the New Jersey mandate will be repealed and replaced this year under Murphy. “We are all in agreement that the mandate to purchase should be rolled back, while also protecting retailers who want to offer a childproof handgun,” she said. Mauch, for his part, said he was moved to create a smart gun after having to testify in the case of a 6-year-old California boy who shot his best friend with his father’s handgun. “I had to explain to the judge why that pistol shot this poor boy. … How should a dumb piece of metal know who is using it? The pistol must function in the hands of a policeman or soldier with NO COMPROMISE and should not function in the hands of that young boy,” he wrote in an email from Germany, where he’s based. There’s not a lot of income in fixed income these days, so active management of your bond portfolio is even more important, says Eaton Vance’s Kathleen Gaffney, one of Wall Street’s most astute fixed-income investors. So how are she and other active bond-fund managers generating returns? Eaton Vance Management’s Gaffney, a CFA charter holder, is codirector of investment-grade fixed income, and lead portfolio manager for Eaton Vance’s multisector bond strategies. She’s responsible for buy-and-sell decisions and portfolio construction. She joined Eaton Vance in 2012 after working for many years with Loomis Sayles bond guru Dan Fuss. Sectors where yields – the income on a bond – are rising, she said, include retail companies, mall REITs, and telecommunications. Gaffney bought the 10-year and the 30-year bonds when they were yielding 8 percent and trading around 70 cents on the dollar. “We’ve pared back,” she said, “because they’ve done very well. “The great thing is, you have underlying asset value that minimizes the downside. To me, that total return is the way to manage fixed income,” meaning price appreciation plus a decent yield. The Eaton Vance Multi-Sector Income Fund can hold a maximum of 35 percent of below-investment-grade bonds, as well as floating-rate bank loans and emerging-market dollar-pay corporate debt. Interestingly, it doesn’t hold U.S. Treasuries. “We don’t own them. The yields are low. Growth should pick up here in the U.S., but there’s tremendous uncertainty. The Fed can’t fix that, only politicians can. “Today reminds me of the summer of 2014, as there doesn’t seem to be a lot of value. What’s different is the extremes we see in volatility,” particularly driven by politics in places such as Puerto Rico and Brazil. “Politics are driving volatility, and the fact that expectations for economic growth and fiscal stimulus are now in doubt. I believe we will get there one way or another, but the election was tied to getting U.S. growth going,” she said, which has been sidetracked by recent White House turmoil. Gaffney holds such Brazilian corporate-bond names as energy giant Petrobras and JBS, a food manufacturer, which offer yields of 6.5 percent to 7.5 percent on bonds ranging from 10-year maturing in 2027 all the way out to 2043. Gaffney is also positioning for a turn in the U.S. dollar – which has been trading at a multiyear high against many currencies. “We own the Brazilian government bonds, denominated in reals; Mexican government bonds, denominated in pesos; bonds payable in Indonesian rupiah and Indian rupees – these are countries on the path toward reforms. We’re likely to see their currencies benefit vs. the U.S. dollar,” she said. “Our view is that the push for fiscal stimulus here means inflation, and nominal growth feels good if wages are moving up” at the same time. Eaton Vance also expects that growth globally could lead to rising inflation in the United Kingdom, Germany, and China. “We’re likely to see a weaker yen, a stronger euro, and the U.S. dollar weaker relative to emerging markets,” Gaffney said. Given the flood of money into passive index funds, we asked Bogle: What happens if everyone invests using only index funds? For a list of CFA speakers, visit the conference website (annual.cfainstitute.org/speakers). The U.S. Department of Labor, which has oversight of retirement plans, became alarmed about insurance agents and investment brokers pushing clients into inappropriate retirement investments with high or undisclosed commissions. These practices, it estimated, cost retirees $17 billion a year in excess fees. Q: What is an annuity? An annuity is a contract between you and an insurance company—a contract that promises to pay you a certain amount of money over a specified time. Social Security is one example of an annuity that pays retirees steady cash flow in retirement. Typically, retirees who wish to guarantee a minimum income stream during their retirement years may purchase annuities. Q: What should I look out for when buying an annuity? Agents typically reap commission of 6% or more, depending on the contract. So on a $100,000 annuity the agent makes $6,000. Annuities can lock up your money for a decade or longer, and if you cash out early, you may pay a “surrender charge” of between 10 to 22 percent. That means on a $100,000 annuity, if you cash out early, you could pay a penalty of $10,000 to $22,000, not including commissions. Surrender charges decline the longer you leave in your money. Q: Who should buy an annuity? For those who have no pension or want a supplement, annuities can provide income, help avoid overspending and provide a floor of guaranteed money. Annuities may be inappropriate or too expensive for people who have shorter-than-normal life expectancies. The elderly, who may not outlive these insurance contracts, should likely avoid annuities. Consumer protection for seniors has become all the more important because of a tectonic shift in how Americans prepare for their retirement. Today, old-standby pension plans – in which the employer provides a fixed monthly payout for life – are offered by only 5 percent of Fortune 500 companies, down from 50 percent in 1998, according to a recent study. Retirement planning is now more do-it-yourself, with some turning to fixed index annuities. They’re marketed as a way to give investors a portion of the stock-market gains while protecting against market downturns. But they’re hard to understand for most investors. The “fixed” part of the annuity is this: The company will set a minimum rate of return on money invested, often about 1 to 2 percent a year over the term of the contract, often six to 17 years. The “index” part is tied to the S&P 500 or another well-known market index, and can provide an upswing of several more percentage points, depending on how the stock market performs. But the insurance company typically caps how much of the upswings an investor receives. Art crimes expert Robert K. Wittman, a retired FBI agent, this year published a new book — “The Devil’s Diary: Alfred Rosenberg and the Stolen Secrets of the Third Reich” — with a Philadelphia twist. It’s the story of Lansdowne lawyer Robert Kempner, who until his death held on to a startling secret — he’d prosecuted Nazi officers at Nuremberg, and purloined the private diary of Hitler’s favorite ideologue Alfred Rosenberg. But that is just the latest crime he’s solved. Wittman joined the FBI as a special agent in 1988, and was drawn to art crimes not longer after starting work at the federal agency. His mentor suggested taking art appreciation classes at the Barnes Foundation when it was still located on the Main Line. As a result of that and other specialized training in art, antiques, jewelry and gem identification, he served as the FBI’s investigative expert involving cultural property crime. During his 20-year FBI career he helped recover more than $300 million worth of stolen art and cultural property. Wittman, in 2005, created the FBI’s rapid deployment national Art Crime Team, and represented the U.S. conducting investigations and instructing international police and museums in recovering stolen works and in security techniques. He retired in 2008. In 2010, Wittman penned his first book — The New York Times bestselling memoir “Priceless: How I Went Undercover to Rescue the World’s Stolen Treasures.” His second book, “The Devil’s Diary,” co-authored with journalist David Kinney, ranks also as a best seller, published in 26 languages in 30 countries. Today, Wittman works for himself as president of Robert Wittman Inc., specializing in consulting on art matters, which include expert witness testimony, security, investigations and collection management. A Chester Springs resident, Wittman remains a huge fan of the Barnes collection — and believes the move into center city was the right one. Wittman’s worked for clients such as the owner of a private library of 10,000 books, including first editions of Tom Sawyer, pages from an original Guttenberg bible, and manuscripts authored by Theodore Roosevelt. “The collection hadn’t been looked at in 45 or 50 years, and we had to cut the locks off of steamer trunks just to take a look and form a complete list,” he recalls. After inventory, Wittman valued the collection “in the millions of dollars,” in part due to an original Shakespeare folio — itself worth six figures. Spotting forgeries is the key part of Wittman’s business — as is establishing true provenance for a works of art, cars, antiques, sports memorabilia and militaria. Wittman estimates the total global art market at $200 billion — $80 billion of that in the U.S. Art crimes represent roughly $6 billion of the world total. And it’s not just phony paintings he investigates. There are forged baseball cards, Confederate belt buckles, even fake replica Batmobiles. One of Wittman’s recent clients bought $300,000 worth of paintings on the Internet from a dozen or so galleries. “We just found out the paintings were all fake. Like any investment vehicle, you have to check provenance,” or where and how the work was obtained, he warns. Wittman grew up around collectors; his father and mother ran an Asian antiques store, and while they never made much money, he learned to love the trade. Favorites in his own collection? Japanese ceramics, Civil War relics, fine art prints like Miro and Dali, and some Asian art. What does he recommend for art lovers buying anything above that price? Wittman still gets phone calls in the middle of the night when art thieves strike. “I can do a lot more now that I’m not an FBI agent, because before I could only do criminal case. Now I can do civil work as well as testifying as an expert witness,” he says. Recently, Wittman worked the case of a stolen piece of glass that was on display at the Philadelphia Museum of Art. Originally owned by the founding family of the Wistar Institute, the piece had been stolen in the 1980s, hoarded in a storage unit, then later sold to an art dealer in New York. The dealer resold the glass to a buyer for tens of thousands of dollars and it was put on display under consignment at the PMA. The piece is still on display at the Philadelphia Museum of Art — but with the rightful owner on the label. Pennsylvania is to set to issue regulations on legal medicinal marijuana, and senior support is at an all-time high. According to the Centers for Disease Control’s National Survey on Drug Use and Health, seniors are the fastest-growing users of medical marijuana in the country. The September study, among those who had tried marijuana in the last month, showed the 55-and-older crowd was the quickest-growing demographic in the years 2002 to 2014: The number between the ages of 55 and 64 who used marijuana grew 455 percent, and the number 65 and older grew 333 percent. Dana Rohrabacher, a Republican congressman from California, used cannabis lotion for his arthritis, time-stamping seniors’ new affinity for medicinal marijuana products. Rohrabacher tried a topical, wax-based marijuana treatment. That night was “the first time in a year and a half that I had a decent night’s sleep because the arthritis pain was gone,” Rohrabacher said last year. Pennsylvania is about to issue new regulations on dispensing legal medicinal marijuana, and senior support is at an all-time high. 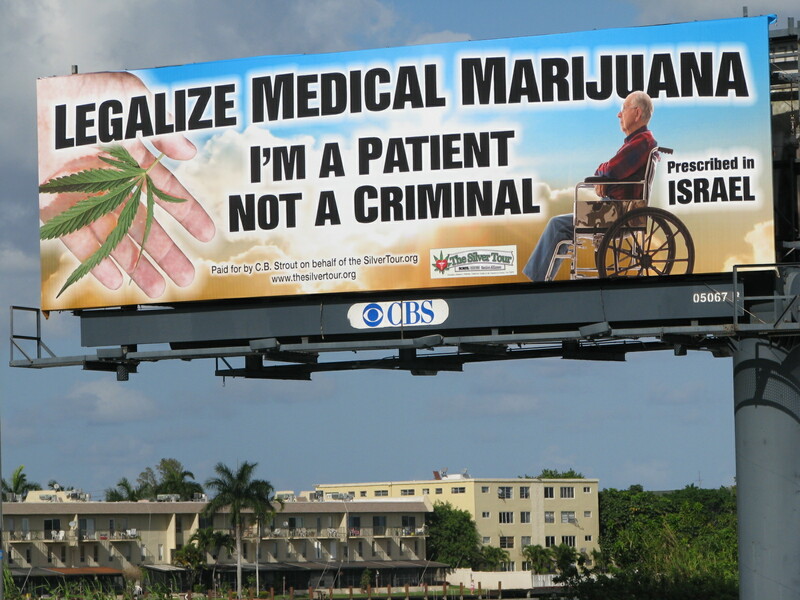 “More than half the country has legalized medical marijuana. Now, older people who used marijuana when they were younger, perhaps in college, then entered the professional world and had families and stopped using – now that it’s legal in their state, what we’re finding [is] they’re going back to it, trying it again for health and wellness,” said Chris Walsh, editorial director and founding editor of Marijuana Business Daily in Colorado. “Medical marijuana is now mainstream. You can walk into a heavily regulated storefront dispensary, and that prompts more people to consider it a viable medical option,” Walsh added. In particular, many new lotions, creams, and pills an older person might use are heavy on a compound called CBD – cannabidiol, the painkiller – as opposed to THC, the chemical that gets you high. Older people prefer traditional forms of medication, fueling growth in the industry, said Nick Kovacevich, co-founder and CEO of Kush Bottles, a medical marijuana packaging company. Heavier users, such as cancer patients, often prefer waxes or oils, skin patches, sublingual strips, creams, sprays, and lotions. “That’s the wave of the future. The elderly like creams and sprays and rubs, because they’re used to ointments and gels for pain management and control,” Kovacevich said. Conditions among the elderly that are listed as uses for medical marijuana include glaucoma, post-traumatic stress disorder, spasms, epilepsy, chronic pain, backaches, multiple sclerosis, and Parkinson’s. Seniors campaigning for wider uses include Robert Platshorn, 73, who was born in South Philadelphia, grew up in Cherry Hill, and now lives in Florida. “There are millions of junkie seniors taking OxyContin, fentanyl, and Darvocet,” said Platshorn, who founded TheSilverTour.org, an nonprofit and activist group of seniors lobbying for passage of medical marijuana in Florida. “It’s a natural for physicians to prescribe medical marijuana for seniors who are in pain but who don’t want to feel loopy. And opioid addiction can be avoided,” he added. New studies point to medical marijuana as a possible treatment for Alzheimer’s. Gary L. Wenk, a professor of psychology, neuroscience, and molecular virology, immunology, and medical genetics at the Ohio State University and Medical Center, studies chronic brain inflammation in Alzheimer’s disease. His research into cannabinoids led him to conclude that while they are no cure, they may slow the onset of Alzheimer’s. “Low doses of marijuana for prolonged periods of time at some point in your life, possibly when you’re middle-aged to late middle-aged, is probably going to slow the onset or development of dementia, to the point where you’ll most likely die of old age before you get Alzheimer’s,” Wenk said in a 2014 interview with Leaf Science, a Canadian marijuana-news website. Even Philadelphia’s medical schools are getting in on the research of medical marijuana. In May, the Institute of Emerging Health Professions at Thomas Jefferson University announced the creation of the Center for Medical Cannabis Education & Research, which provides information and guidance to clinicians and patients about the medical uses of marijuana and cannabinoid-focused therapies. She’s a Medicare and Social Security expert and professor at Lehigh. Then her elderly mother got sick, and the academics got real. Laura Katz Olson taught health-care policy for decades at Lehigh University and could rattle off the ins and outs of Medicare and Social Security. But none of that prepared her for caring for her mother, Dorothy Katz, a Senior Olympics medal winner who developed Parkinson’s disease. Thrust into a long-distance caregiving role, Olson, 71, began grueling travel between Pennsylvania and Florida. Her mother’s health failed with each passing visit. “At first, I was convinced she could ‘age in place,’ as they say,” Olson said. After her mother fell, then nearly died in a rehab facility, Olson moved her to Pennsylvania. What Olson discovered in assisting her frail parent was at odds with her work as an elder-care expert. She could barely navigate the byzantine web of public and private insurance and services. Olson’s two siblings had died, so her mother’s care fell to her entirely. Her work teaching at Lehigh was interrupted as Dottie Katz steadily grew incapacitated by Parkinson’s-related dementia and a gradual loss of vision. “You can only get your parent 10 hours of in-home care a week under Medicaid. Then the gap in service becomes real. I had to fill in the gap myself,” Olson said of her visits to Florida. “While everyone is pushing for at-home care, there’s not enough coverage under Medicaid. In order to be eligible, you have to be nursing-home eligible,” which means your elder relative’s assets have been depleted. In 2013, she moved her mother, now 93, into Gracedale, a county-run and subsidized senior facility in Nazareth, Pa.
Finding a facility for her mother and ensuring that her benefits stayed consistent shattered Olson’s convictions and exposed irrationalities in government systems. Despite her expertise, Olson was ill-prepared to deal with the bureaucratic barriers imposed at every turn. In Pennsylvania, the Department of Human Services threatened to cut off her mother’s benefits because of one missing piece of paper – a bank statement that Olson had already submitted. “They just wanted paperwork again and again, to reinvent the wheel at every agency,” she said. Another office threatened to stop her mother’s Medicare. Olson’s new book, Elder Care Journey, speaks to elders with functional limitations and the adult children helping them. The book documents the stresses and the manifold indignities in dealing with social-welfare agencies. Elders with limited financial resources often must rely on government funds for their basic care. “I wanted to elucidate the obstacles confronted by other families attempting to navigate the complex and sorely inadequate programs serving the low-income aged,” Olson said. At Gracedale, Olson said, she has found a place providing decent care, so she no longer fears for her mother’s health, safety, and well-being. Along the way, Olson discovered that many nursing homes and elder-care facilities are owned by private equity firms or multichain conglomerates traded on public exchanges. “Their primary profit goals are at odds with the well-being of the people they are supposed to be serving. Almost half of private nursing-home revenue, 48 percent, comes from Medicaid and Medicare. About 80 percent of all home-care agency revenue also comes from those sources, said Ron Barth, CEO of LeadingAge, a consortium of nonprofits in the elder-care industry. “The taxpayers are funding the long-term industries but aren’t getting quality of care for their elders,” Olson said. She visits her mother every day and advocates for her. Remember when Mom and Dad bailed you out on that overdue bill? Now, it may be your turn. More than half of U.S. states have so-called “filial responsibility” laws that require adult children to support their parents if they become indigent. For example, under Pennsylvania’s 2005 statute, spouses, parents, and children are obligated to care for or financially assist destitute family members. That means you could be held financially responsible for a parent’s nursing-home care, says Marc Jaffe, estate-planning lawyer and partner at Fromhold Jaffe & Adams in Villanova, Pa.
“A nursing home will sue an adult child to recover monies the parent didn’t pay,” Jaffe says. “It’s not used very often. And you are not necessarily responsible for all of that person’s debts. However, you might be held responsible for that person’s food, shelter, clothing, medical care, and other similar necessities if the person did not have the funds to pay,” he notes. Such lawsuits “may become more common, as the government in general is looking to be less generous with benefits, and if a medical provider doesn’t get paid, they may look more toward the family,” Jaffe adds. A 2012 Pennsylvania Superior Court case, Health Care & Retirement Corp. of America v. Pittas, made it clear that under state law, if a creditor chooses, one child alone may be found completely responsible. The court upheld the nursing home’s judgment against one son for $92,000 for his mother’s care after she left the facility and moved to Greece. The Superior Court also determined what is meant by indigent. It includes not only those who are completely destitute and helpless but also those people who have limited, but not sufficient, means to support themselves financially. 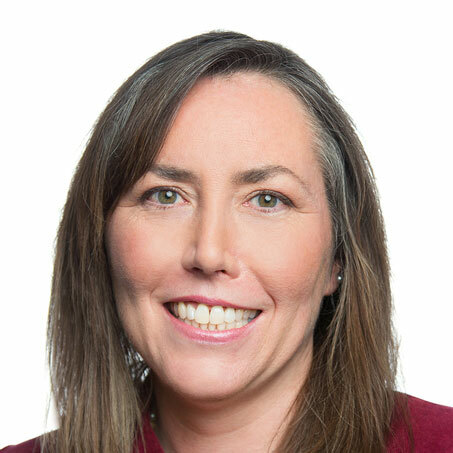 Pennsylvania, New Jersey and Delaware all have similar “filial responsibility” laws on the books – although, again, they are rarely enforced, says Trisha Hall, partner with Connolly Gallagher in Wilmington. In recent years, the Pennsylvania Bar Association supported a repeal of that state’s law, but it was blocked by the Department of Human Services and nursing-home lobbies, says Katherine Pearson, a professor of law at Pennsylvania State University’s Dickinson School of Law in Carlisle, Pa. Most of these laws are seldom enforced because federal law prevents the states from considering the financial responsibility of any individual other than a spouse in determining the eligibility of an applicant or recipient of Medicaid or other poverty programs, Pearson says. But Pennsylvania also has little incentive to change the law. “The state wants the statute to stand as a way to offset state liability” for indigent elderly, she adds. What is unique about Pennsylvania is that the law has been interpreted as permitting third parties, such as nursing homes, to sue the children directly, Pearson explains. She has been watching cases in which nursing homes are suing adult children for bills as low as $5,000 or as high as $60,000. To protect themselves, Jaffe advises that adult children put their assets in protective trusts or retirement accounts, which cannot be claimed by creditors, and that they put property in joint ownership, under more than one name. In some cases, families could solve financial and other problems ahead of time simply by having conversations about what their elderly parents want. “Four in 10 families don’t agree on the roles adult kids will play” as caregivers, says Suzanne Schmitt, vice president of family engagement at Fidelity Investments, based in Boston, Mass. Schmitt herself has had the conversation with her parents. And many elderly parents will appreciate bringing up the subject – and are encouraged to do so when families get together for holidays and other occasions. Comcast scores high for transparency of campaign contributions; Urban Outfitters scored a zero! How much money do public companies spend on politicians, and what do they disclose? An index offers a peek at the juicy details. For the first time, the 2015 CPA-Zicklin Index gives a breakdown of every company in the S&P 500: which policies each company maintains on political contributions; if the company even has a policy; and links to how much moolah it donates. The index, started in 2009, shows the largest publicly held U.S. companies’ political activity in a high-spending era marked by an unprecedented flood of dark money, said Bruce Freed, president of the Center for Political Accountability in Washington, which partnered with the Wharton School of the University of Pennsylvania to create CPA-Zicklin. For investors, it’s a useful tool to evaluate companies’ policies and accountability. For companies, it helps “assess whether they follow best practices for disclosure and accountability, and the extent to which they demonstrate commitment to these principles,” Freed added. Anyone can access the index via the center’s website, PoliticalAccountability.net. For dollar amounts, the CPA-Zicklin Index links to databases such as the Federal Election Commission’s fec.gov, OpenSecrets.org, and FollowTheMoney.org. The local communications giant Comcast, for instance, scored high on the CPA-Zicklin Index for transparency and for having a stated policy on political contributions. On its corporate website, Comcast posts a 59-page document listing donations totaling $6.5 million made in the most recent 2014 election cycle. “Comcast’s political contributions are made from employee-funded political action committees (‘PACs’) that are sponsored by Comcast. The Comcast PACs are operated by a board of directors, chaired by the senior executive vice president. When permitted by law, political contributions are also made out of corporate funds,” the company said on its website. Comcast’s largest 2014 donations included $367,000 to the Republican Party of Florida, $250,000 to the Democratic Governors Association, and $255,000 to the Republican Governors Association. In Pennsylvania, Comcast donated mostly to individual candidates, including $50,000 to Tom Wolf for Governor, $10,000 to Bob Brady for Congress, $17,000 to Friends of Dominic Pileggi, $15,000 to Friends of Joe Scarnati, and $16,000 to the Mike Turzai Leadership Fund. How did the CPA-Zicklin Index come into being? William Laufer, director of the Zicklin Center, first proposed the index in July 2009. In the 2015 index, three companies tied for a first-place rating of 97.1 points out of 100: Becton Dickinson; CSX Corp.; and Noble Energy. Among regional companies, Comcast scored 81.4; AmerisourceBergen scored 82, and Hershey Co. scored 90. Those with low scores included Lincoln National (17.1), PNC Financial Services (5.7), and Urban Outfitters (0.0). The average overall score in 2015 was 72.6 for companies with some sort of disclosure agreement. Shareholder engagement “was sharply favorable” in helping raise scores, Freed explained. “Companies engaged by shareholders, and reaching an agreement, had significantly better disclosure and accountability policies,” he said. More than half the S&P 500 – 52 percent, or 259 companies – had detailed policies on campaign donations. Thirty-five percent, or 176 companies, had brief or vague policies. The majority of S&P 500 companies – 54 percent, or 270 companies – had dedicated webpages to address political spending. Zicklin said he became interested in campaign finance nearly a decade ago, when Massey Energy CEO Don Blankenship donated $3 million to a West Virginia judge who later decided a case in the company’s favor. More important, he said, “Americans are very upset. They feel they have no part in how government is run – it’s all by big checkbooks. If the IRS calls, texts, or emails… relax, it’s a scam artist! Trump’s stock portfolios: are they good investments? Romance scams target aging Baby Boomers; stalk your online date first?